The pages of “Golden Days” are filled with an array of stories, activities and lessons. The stories are, for the most part, gender specific. 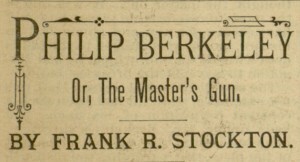 Titles like “Philip Berkeley; or, The Master’s Gun” appealed to the male audiences while other stories like “Grandma’s Bear Story” included the subtitle ‘For the Girls.’ Many of these stories are broken up in chapters that spanned numerous issues, which was sure to make children request the next week’s publication. These stories too were not just written by strictly amateur or unknown authors but some of the most important names in children’s literature at the time including Horatio Alger, Jr., James Otis and Frank R. Stockton. 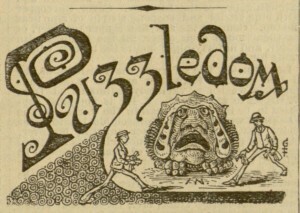 Each issue also included a section entitled “Puzzledom” with number and words games and “International Lessons,” a strictly Christian devotional with a message and Bible study. Golden Days reminds us of a time long gone when children relied on strictly stories and reading to fuel their imagination and pass the time rather than television and video games like today’s generation. Villanova is lucky to have Volume Three of Golden Days in its special collection, which includes issues from 1882 and 1883. 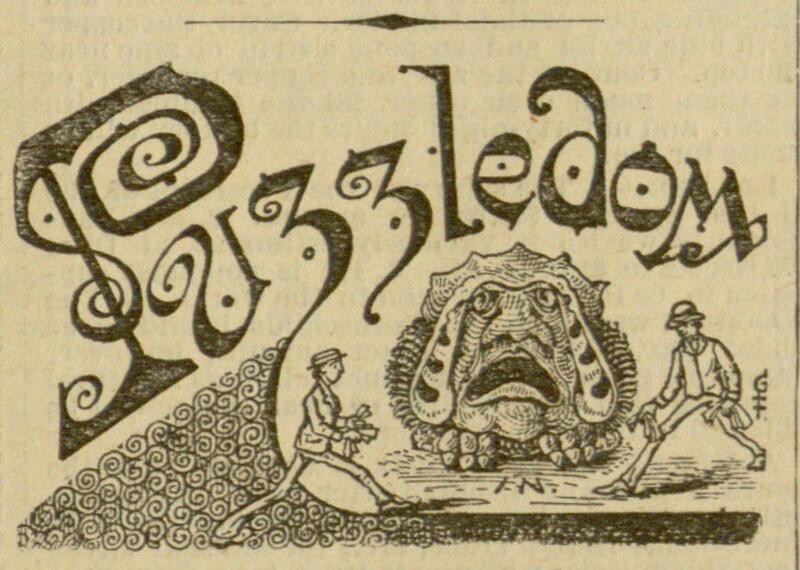 If you want to step into the lace-up boots of a Victorian child and experience this form of popular entertainment, head over to the Villanova Digital Library and read a few issues of Golden Days for Boys and Girls.